Last year, The Force Awakens gave us a great deal of hope that the future of the series is in good hands. I am willing to give last year’s entry a pass and wait to see how the second act plays out, reserving my feeling that it felt smaller than the original. Why smaller? It’s simple. The heroes can only be measured by the evil they face. One of the most remarkable and lasting figures in the annals of evil exists in the mythic creation of Darth Vader. Pitting a young newly trained Jedi against this visage of evil provided a story arc that basically wrote itself in the original tale. In The Force Awakens, both sides grasp at greater glory of earlier times, hence, diminishing all. 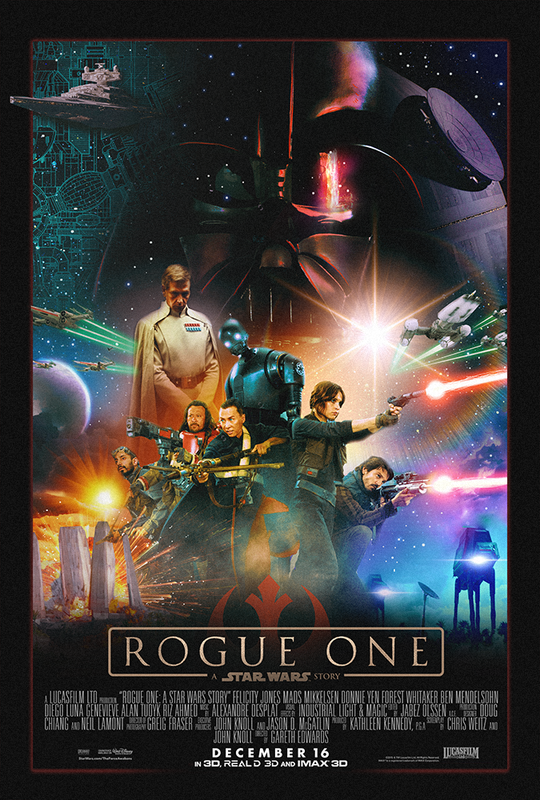 Going back in time, as Rogue One does, however, allows for instant intensity and organic peril, tapping into the evil that influences the universe in Vader’s time. The movie portrays the events just before A New Hope, giving life to the sacrifices made to secure the schematics of the Empire’s Death Star. Felicity Jones plays an orphaned girl Jyn Erso. Her father Galen, Mads Mikkelsen, is in hiding from the Empire as the story opens. 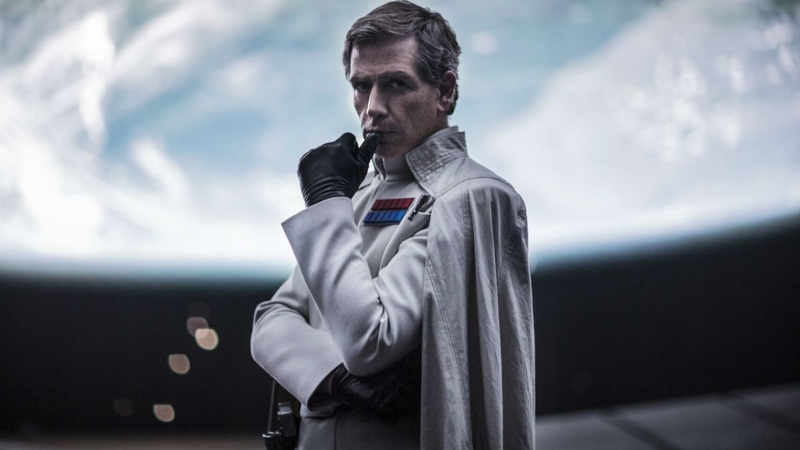 He is taken and her mother killed by Orson Krennic, Ben Mendelsohn, and she is raised up until her 16th birthday by Saw Gerrera, Forest Whitaker, who is an extreme rebel whose band disagrees with the Alliance for not going far enough in its fight against the Empire. Galen possesses the talent to mastermind the Death Star and the Empire forces him to work on it. A somewhat mottled first act with back story development and motive building characterization that echoes elements of all three trilogies (poor orphan finds his/her way with force) picks up steam as a motley crew pulls together to go after the secret Death Star designs on a planetary fortress. Visually we are treated to new environments for epic battles. 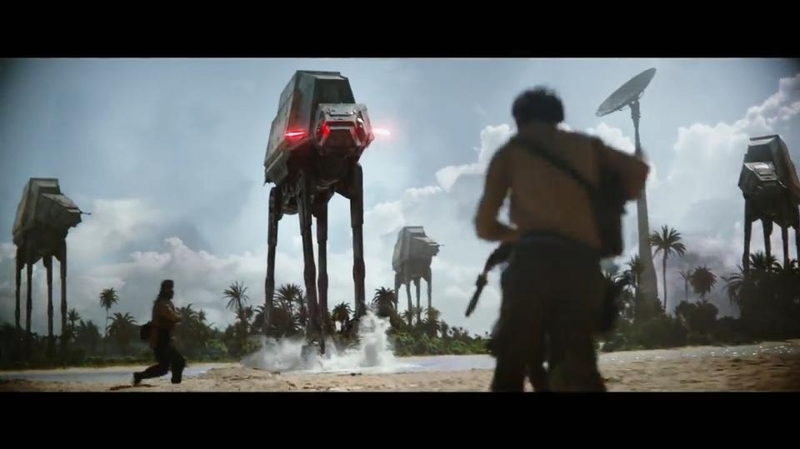 Imperial Walkers move across a lush tropical environment and Tie Fighters engage X-Wings in a cleverly conceived closed environment to great effect. Overall this is a movie that will appeal most to the generation that saw the first trilogy and grew to see the world in less than black and white terms. The rebellion has an underbelly that doesn’t gleam white and employs less savory tactics than portrayed in the original series. 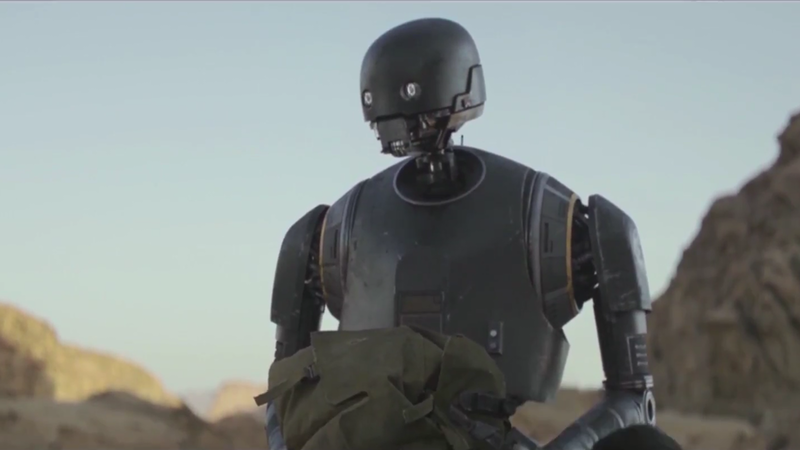 Even the comedy offered by the Imperial robot, K-2SO, reprogramed for the rebellion is more adult in delivery and context, offering high probabilities of death, with such deadpan that you can’t help but laugh. 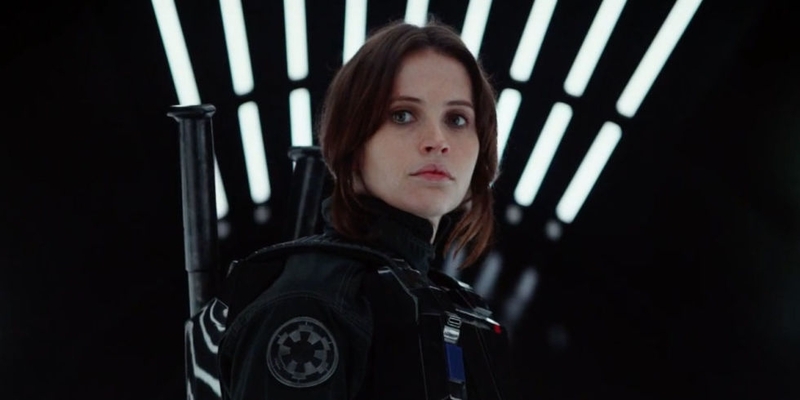 Finally, young Jyn does not come off as the most powerful person in the universe. She and her fateful companions all seem mortal as the depth of the story unfolds. As the movie finishes, you see the events tie directly into A New Hope, and bare witness to the strength of evil in the form of Vader. This was a great movie that takes a little bit of time to find it’s footing, but launches on a ride that is both plausible and satisfying.